Time for another #AlleviAuthor - Researchers from Abo Akademi, University of Helsinki and University of Turku use the Allevi 2 to 3D bioprint drug delivery systems. Their paper studies the printability of PDMS to manufacture drug containing structures of different pore sizes and different drug loadings. The 3d bioprinted structures contained prednisolone as the model drug. The work showed that by altering the surface area/volume ratio it was possible to print structures with differences in the release rate. The fact that the 3d bioprinting was performed at room temperature makes this an interesting alternative for manufacturing controlled release device with temperature susceptible drugs. Imagine being able to 3d print the perfect drug for YOUR biology - to be able to control geometry, custom release rates, and multi-drug composition. This paper explores the future of truly personalized drug delivery. With a 12% success rate for drugs entering clinical trials, there is no doubt that drug companies need more accurate prediction platforms to help them save billions in bringing a drug to market. 3D cellular models, such as spheroids, organoids and organ-on-chips, offer a promising solution to this issue. But how can these models be built at the complexity and scale needed for pharma? Bioprinting’s ability for increased complexity and automation is the clear answer. Read our co-authored paper with Dr. Anthony Atala, Director of the Wake Forest Institute for Regenerative Medicine (WFIRM) and featured on TED, describing the potential of bioprinting to improve drug testing. Last week was a big week for bioprinting and tissue engineering. You may have heard that we officially came out of Beta and launched the most advanced 3D bioprinter ever created, we call it Allevi 2. You can check out the amazing design and read more about the specs on our website. We really could not have built this system without the support of our early Beta clients, you guys have been amazing at getting us the right feedback and making sure that we continue to blow the competition out of the water. We’re happy to be able to embrace new members into our community of pioneers uncovering the greatest mystery of our generation – life. 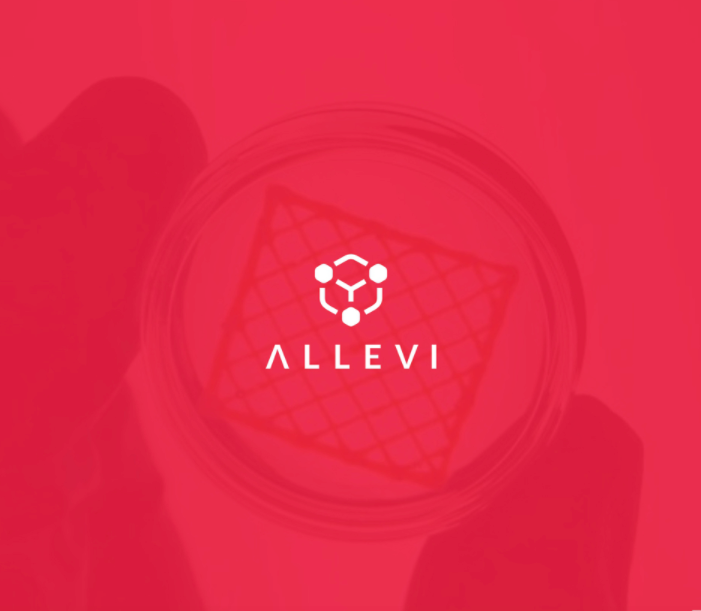 Our goal at Allevi has always been to create standards and modular systems that can engineer biology to cure disease, eliminate the organ waiting list, revert climate change and push humans to live on other planets. We can’t wait to see what all of our old friends and new users will build, now that they have access to the most powerful biofabrication tool and fastest growing bioprinting community ever created. Imagine being able to print bone. Things like jawbone surgery, healing fractures, and treating bone diseases would be revolutionized. Well, a future in which doctors and researchers regularly bioprint bone may not be so far off. In 2013, researchers at the University of Nottingham in England devised a method to create custom fitted bone replacements using the power of stem cells and bioprinting. The idea is fairly simple: researchers used a 3D bioprinter to create a biochemical scaffold in the shape of their desired bone, and then planted stem cells onto it. These stem cells, through the influence of specific chemical growth factors, were guided into becoming bone. Eventually, as the cells grew and proliferated, the scaffold was populated with bone cells. This printed product could then be implanted into a patient. Upon implantation, the scaffold—made from biocompatible alginate and polylactic acid—would dissolve, leaving only the new bone within about 3 months. Clearly, there are a lot of advantages to this approach. For starters, bone replacements can be made to fit the patient exactly. This also reduces the need for bone donors. And lastly, it completely circumvents the problem of host rejection, since the scaffold is ideally seeded with the patient’s own stem cells. As always here at Allevi, we’re looking for the cutting edge applications of 3D bioprinting. This research was done back in 2013, and who knows what sort of developments we’ll encounter this year, in 2015!